The Green Website Adventure Tour is Coming! In our EcoBlueprint Home Study course , the fourth segment includes a whirlwind tour of going-green websites. As an information junkie, I’ve been keeping tabs on them for years. This has become a more and more difficult task recently, as Earth’s Immune System rolls into high gear. 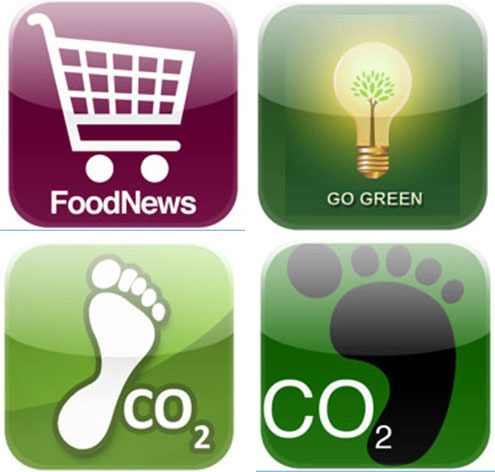 The best of these websites helps us to get at the nagging questions: What is our budget – we hear a lot about what NOT to do to the environment. How are we to focus in on what TO do? What’s really going to make a difference? One of the first acts is to become better informed about the impact that we are actually having. Several online tools are out there now, but which ones are the most useful? Which ones will really help us set and reach our greening goals? In answer, GOforChange is offering the Green Website Summer Adventure Tour , starting on July 15th. We’ll dig into some of the best tools that are out there: for increasing our awareness, helping us to conserve, and also to restore damaged ecosystems. I’m particularly intrigued by tools that allow us to baseline and measure our impacts and even to track our progress. This sort of feedback is very helpful in keeping us on our path. It also allows us to adjust when things aren’t working, or to amp up if when we are comfortable with a strategy. . . we can do more of that, or move on to something a bit more challenging. For you iPhone users, there are some cool applications now for getting green tips, such as Green Tip of the Day and The Green Book. There are others for tracking impacts, especially CO2 from transportation. You can set a yearly and monthly budget, then log in when you travel and it tracks your impact. As long as you are logging in your travel, you can see how you’re doing against your budget. The tracking apps seem most useful for building your own awareness. You might do them religiously for a week or a month, to better understand your own patterns and impacts. The feedback could help you design alternative strategies. I recently downloaded a few others that have specific information, like which fruits and vegetables have heavier pesticide loads ; knowing that, you may choose to buy organic. There’s also an app that lets you find out what foods are in season wherever you are — and, to locate the farmer’s markets so you can go buy them. On the Green Website Summer Adventure Tour, some of the sites we’ll visit will include Green Irene , Low Impact Living , Greenopolis , Be Green Now , Awakening the Dreamer , and Going Green Today . Listen to a preview call and join us on July 15th! How Can We Best Support People Who Want To Go Green?